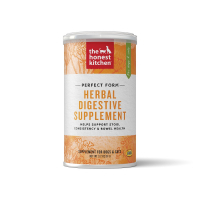 Just like us, our dogs need some extra vitamins and nutrients to stay in prime health. 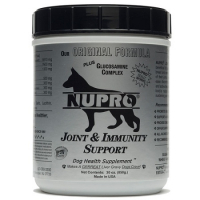 Additional vitamins and nutrients can help with all sorts of conditions, from deficiencies, allergies, joint and arthritis pain, urinary tract and gastrointestinal problems, skin and coat care, anxiety and more. 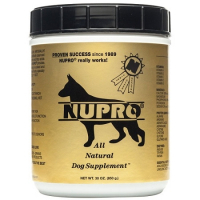 Health and wellness products can come in many forms, including liquids, gels, tablets, treats, and chews. 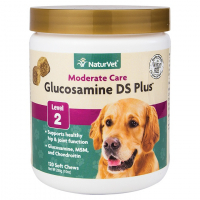 Top products include Dasuquin for hip and joint health, salmon oil for skin and coat health, Purina Fortiflora for digestive health, Denamarin for liver support, and everything in between! 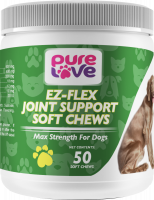 With top brands like Nutramax, Nupro, Grizzly, Virbac, NaturVet, Pet Naturals and more, let PetFlow address any need your furry friend faces.